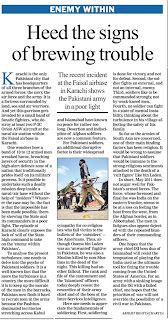 Ajay Banerjee Tribune News Service New Delhi, June 1 India today committed itself to build the capabilities of the Afghanistan security forces and continue training its security personnel. 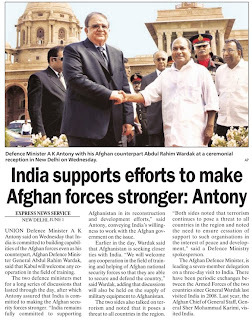 Indian Defence Minister AK Antony said this here to General Abdul Rahim Wardak, minister of national defence of Afghanistan. As per the stated policy, US President Barack Obama is planning to start a gradual drawdown of the US troops in Afghanistan from July, which has raised questions on the future security scenario. The Indian commitment comes just three weeks after Prime Minister Manmohan Singh pledged an additional $500 million on a recent visit to Kabul. This was in addition to the $1.5 billion investment already made on roads, health and power. The Afghan minister is on a three-day visit to India. During the delegation level talks, Antony said as a long-standing friend of the Afghanistan, India remains fully committed to support the country in its reconstruction and development efforts, a Defence Ministry release said. “India is committed to building the capabilities of the Afghan security forces in accordance with the priorities of the Afghanistan Government,” Antony told Wardak at the meeting. 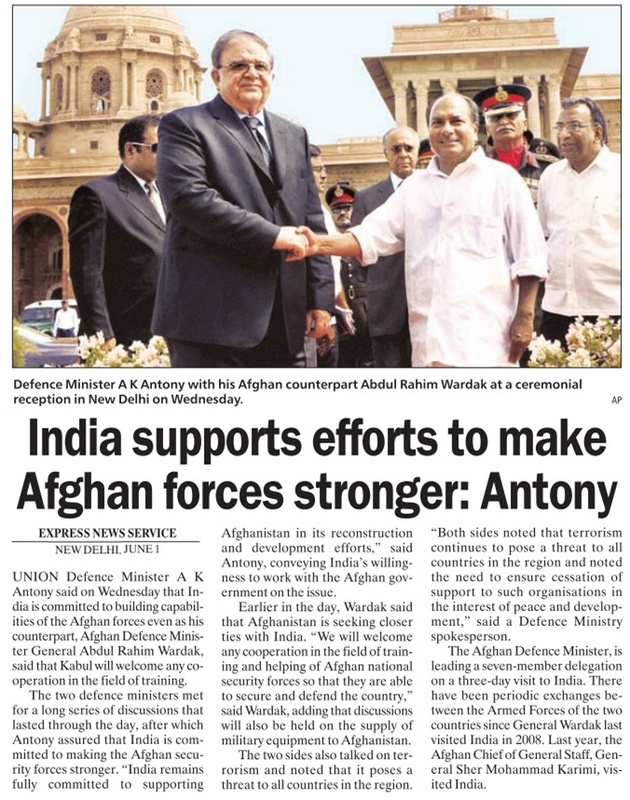 Antony said India attaches high importance to bilateral relations with Afghanistan, as is evident from the multi-faceted relationship between the two sides. Earlier this morning Wardak told reporters that Afghanistan aims to establish closer defence ties with India and will welcome any cooperation from it in training of its security forces. He was asked about the nature of help Afghanistan has sought from India in areas of security and defence. India is at present training about 100 Afghanistan officers and non-commissioned officers in India. 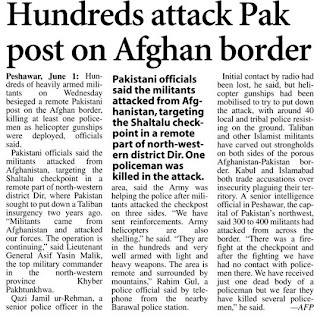 “The Afghanistan army is keen that we should be training Afghanistan security forces but Pakistan is against it. India has recently started training the Afghanistan National Police, particularly two women battalions. Wardak, also expressed keenness to buy India military equipment. 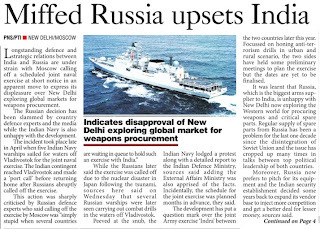 “In the future, we will have a better picture but there is a genuine interest in securing our national defences,” he added when asked on the possibilities of buying Indian military equipment. Sources said Afghanistan has been keen to establish a security relationship with India, however, New Delhi is cautious due to the presence of international forces in Afghanistan. There have been periodic exchanges between the Armed Forces of the two countries since General Wardak last visited India in April 2008. India has also posted army officers to Afghanistan to teach basic English language skills to Afghan army officers, besides military doctors to work in hospitals in Kandahar. 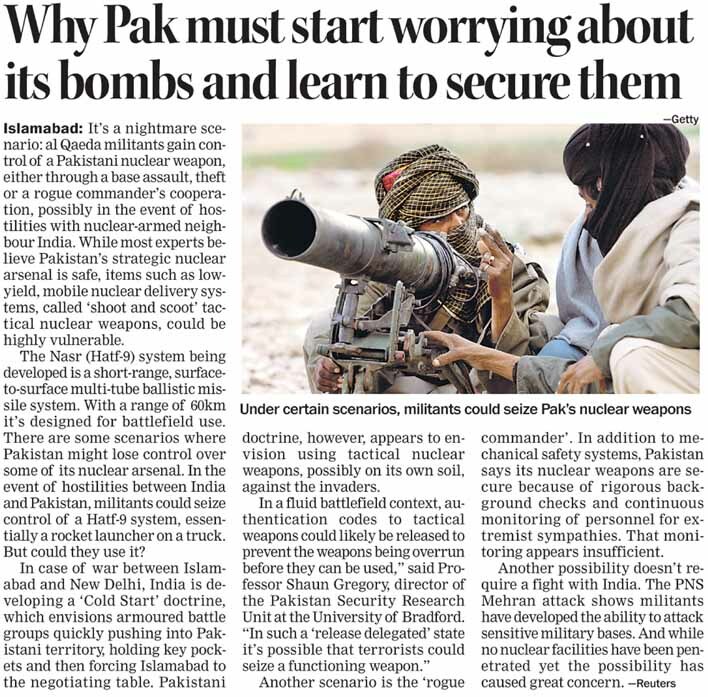 It is a worst-case scenario too horrifying for words: terrorists take over Pakistan and its huge nuclear stockpile falls into their hands gratis. 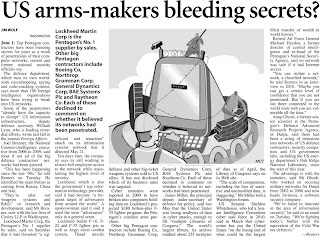 The accumulated weaponry is so daunting that the zealots can hold the whole world to ransom, and even vaporise a large section of it. Islamabad, of course, discounts such a possibility in public and so does the US, but a top American expert, Dr Jack Caravelli, a former adviser to at least two US Presidents, has now revealed that secret plans are in place to take control of Pakistan’s nuclear weapons in case the unthinkable does take place. 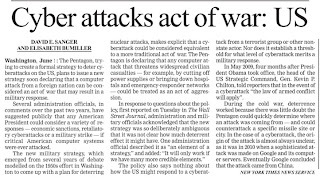 Volatile elements in Pakistan can be depended upon to ignore the rider that the US would act only if the country falls to terrorists, and condemn this contingency plan as yet another frontal attack on its sovereignty after the Osama strike. 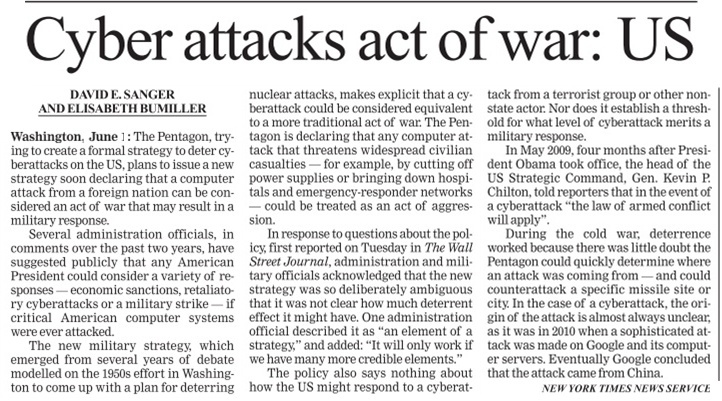 But for the rest of the world, this revelation would be somewhat reassuring, given the heightened fears over the safety of the nuclear stocks and installations. The threat is real and immediate. Although a Taliban spokesman has asserted that it has no plans to launch such an attack, since “Pakistan is the only Muslim nuclear power state”, nobody is taken in. Significantly, a prominent Tehrik-e-Taliban Pakistan (TTP) leader, Sajjad Mohmand, has pledged to liberate the atomic weapons from the control of “traitors ruling the country and use them to defend Pakistan and Muslims worldwide”. The threat is ominous. 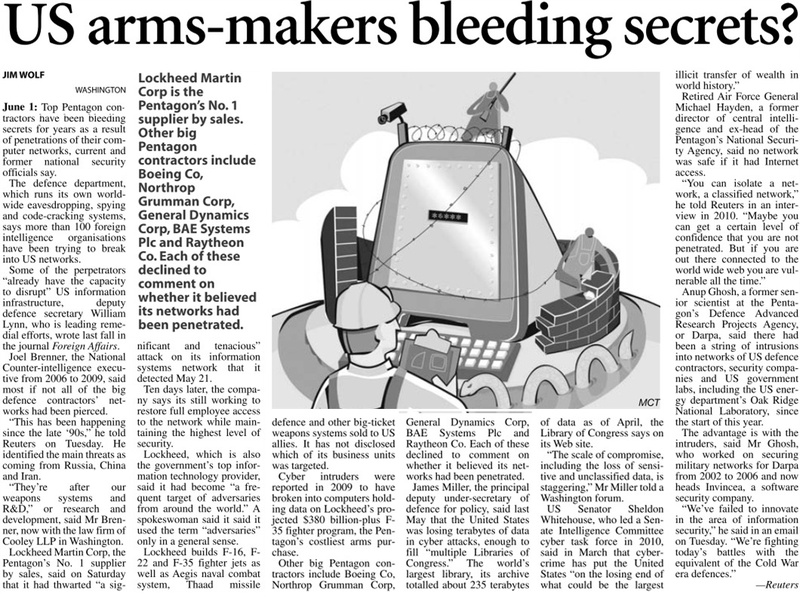 Paklistan’s nukes may be widely dispersed at secure places but the fear of at least some of these weapons and facilities falling into wrong hands is itself chilling. The Mehran naval airbase which was attacked on May 22 is only about 25 km from the Masroor air base, where Pakistan is believed to have a large depot of nuclear weapons that could be delivered from the air. There are enough extremist officials within the military establishment to facilitate such a raid. 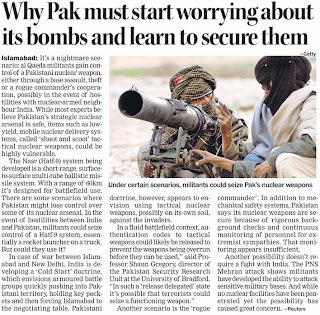 The threat perception has become more acute ever since Pakistan showcased its capability to build low-yield short-range plutonium-based weapons that are mobile and can be transported and used easily. If these fall into the hands of jihadised elements, the temptation to use them as terror weapons will be immense. Whenever Pakistan is in a situation where its stand defies logic in its dealings with India, it chooses to play the China card. 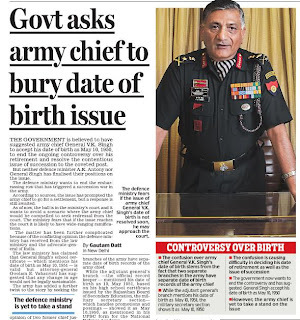 This has been noticed during the latest round of talks on the Siachen glacier demilitarisation issue. Knowing well that any reference to China will be disapproved by India, the Pakistan Defence Ministry representatives who held talks on Monday and Tuesday with their Indian counterparts in New Delhi pushed for China to be represented during the negotiations because Beijing controls the Shaksham valley in the Siachen area. Besides this, Pakistan wants India to withdraw its troops from the vantage points held after great sacrifices without the areas’ proper demarcation. How can India vacate the areas it had captured in Operation Meghdoot without any guarantee that they would not be surreptitiously occupied by Pakistan? 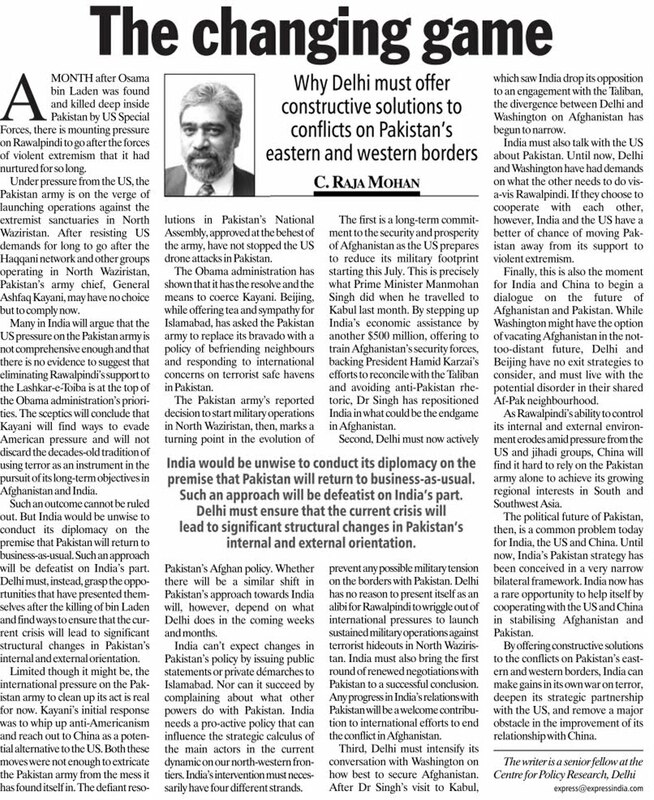 Islamabad’s stand is that India’s occupation of those areas has altered the status quo that existed when the Simla Agreement was signed. 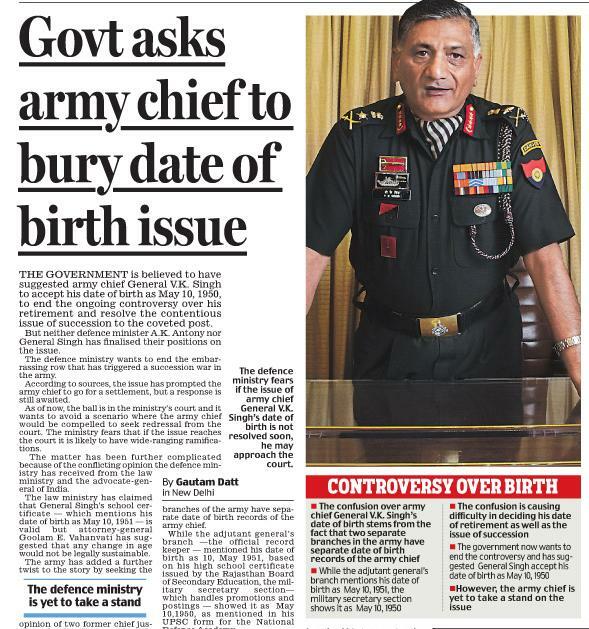 But the truth is that there is no mention of these Siachen points in that accord. India and Pakistan were faced with a similar situation during their talks on the Siachen issue before the 2008 Mumbai terrorist attack, which killed the composite dialogue process that was on between the two sides. Then also India insisted that the areas under its control must be demarcated before the withdrawal of its troops, but this was not acceptable to Pakistan. Islamabad’s refusal to accept the demarcation idea clearly shows that its intentions are not pious. The next round of talks, scheduled to be held in Islamabad, can be fruitful only if Pakistan substantially accommodates the Indian viewpoint. 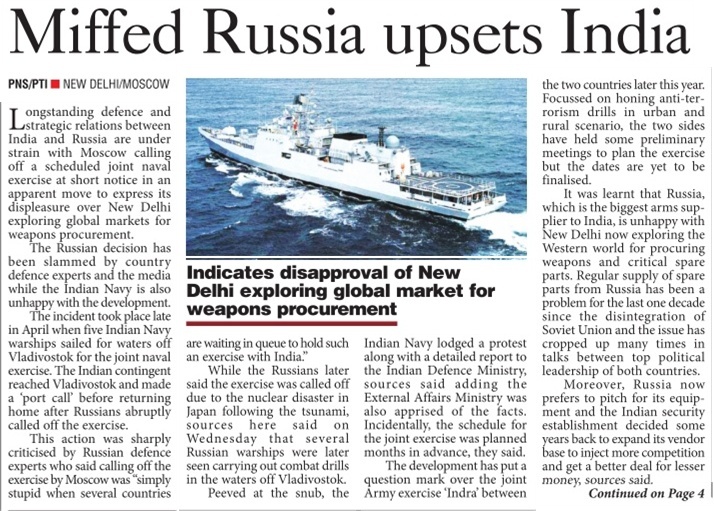 The standoff after the talks that concluded on Tuesday was already in the air because of the confidence deficit between the two sides. An atmosphere conducive to any agreement between India and Pakistan is missing today. It is difficult to say when the situation will improve. 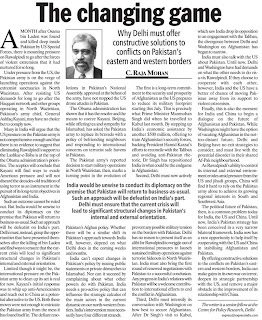 In fact, the tension between India and Pakistan is likely to go up owing to Pakistan’s unwillingness to punish all those guilty of the Mumbai terrorist killings despite India having provided enough proof to nail them. NEW DELHI: With Afghanistan slated to handle its own security by 2014, Kabul and New Delhi on Wednesday resolved to step up their bilateral defence cooperation. "We will welcome any cooperation (from India) in the field of training and helping of Afghan national security forces so that they are able to secure and defend the country," said visiting Afghanistan defence minister General Abdul Rahim Wardak. Defence minister A K Antony, in turn, assured Wardak that India was "committed" to building "the capabilities" of Afghan security forces. "As a long standing friend of the Afghan people", he said, India remains fully committed to supporting the war-ravaged country in its reconstruction and developmental efforts. On whether the enhanced defence cooperation would lead to India supplying military equipment to Afghanistan, Wardak said, "We will be discussing it. There is a very genuine interest in strengthening our relations in all sectors including defence." With India continuing with its policy to counter Pakistan's moves in the strategically-located Afghanistan, PM Manmohan Singh had visited Kabul last month to deepen the bilateral strategic partnership across the political, economic and security fronts. India has been regularly training Afghan officers and other ranks at its military training institutions, ranging from the NDA and Indian Military Academy at Dehradun to the School of Artillery at Deolali, ever since the Karzai government came to office. India has also posted some Army officers in the central Asian nation to teach basic military fieldcraft and English skills to the Afghan Army, apart from sending several military doctors to help at hospitals in Kandahar and elsewhere. Afghanistan has, in fact, sought even more Indian help in "capacity-building" of its armed forces, which even includes training of its pilots and technicians in operating Russian-origin Mi-35 helicopter gunships, as well as sourcing supplies for its Soviet-era tanks and aircraft. Sheikh Asad Rahman When Pakistan was forced by the US to become a major partner in the war on terror and supported the US with military operations, the Taliban fighters found new and softer targets in attacking the Pakistani civilian population (approximately 30,000 killed) and military institutions, killing some 5,000 troops and officers Pakistan was conceived as a people’s welfare state but exponentially has become a security state where the welfare of the people was sacrificed at the altar of the military establishment. The security of people’s constitutional, fundamental and human rights, lives and property, economy and social services, the basic responsibility of the state that it has abrogated, was precarious since the very inception of Pakistan as an independent and sovereign state and has deteriorated especially after 1958 when the first military coup took place. The subsequent military regimes of Generals Yahya Khan, Ziaul Haq and Musharraf further perpetuated the military’s dominance of politics in the country to the detriment of political democracy, people’s socio-economic development, sovereignty and security. Foreign, defence, and domestic security policies are dictated by the military establishment, which undermines any civilian government’s efforts for peace with neighbouring countries and within the country. 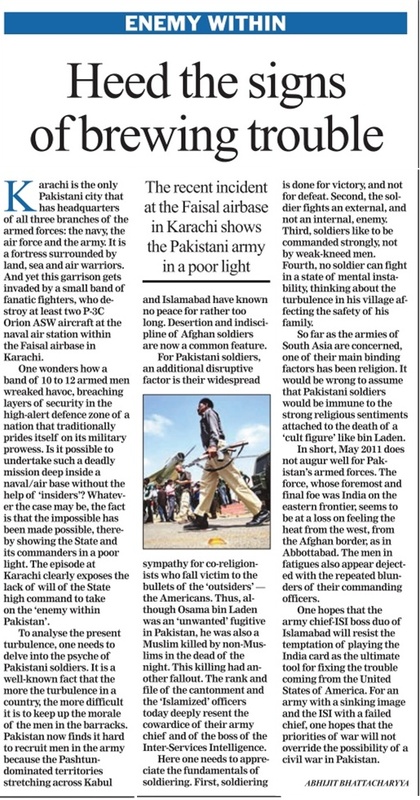 The military’s perception of external and existential threat is India-centric due to the unresolved Kashmir, Siachen and Sir Creek issues with a history of three wars and the Kargil misadventure. Militarily and economically being the weaker state, Pakistan’s military turned to the doctrine of the “Fifth Column” strategy, created jihadi militant groups to infiltrate Indian-Held Kashmir and conduct guerrilla warfare with the objective of inflicting substantial damage to the Indian military. Pakistan’s military strategists subscribing to outdated doctrines hoped to resolve the issue by proxy wars instead of putting moral pressure through conforming to UN resolutions for a plebiscite in both Indian and Pakistani Kashmir. The (1979) Saur revolution and subsequent USSR intervention in Afghanistan turned Pakistan’s attention to its western borders from the eastern borders when some 30 million Afghans sought refuge in Pakistan’s border districts of Khyber Pakhtunkhwa and Balochistan. The US, seeing an opportunity to avenge its defeat in Vietnam at the hands of the Viet Cong supported by the USSR and China, jumped into the fray. Using the Pakistani ISI as a conduit for training, weapons and money, it organised the Afghan refugees into a guerrilla (mujahideen) army that fought the USSR for nine years forcing it to abandon the occupation and pull out of Afghanistan. 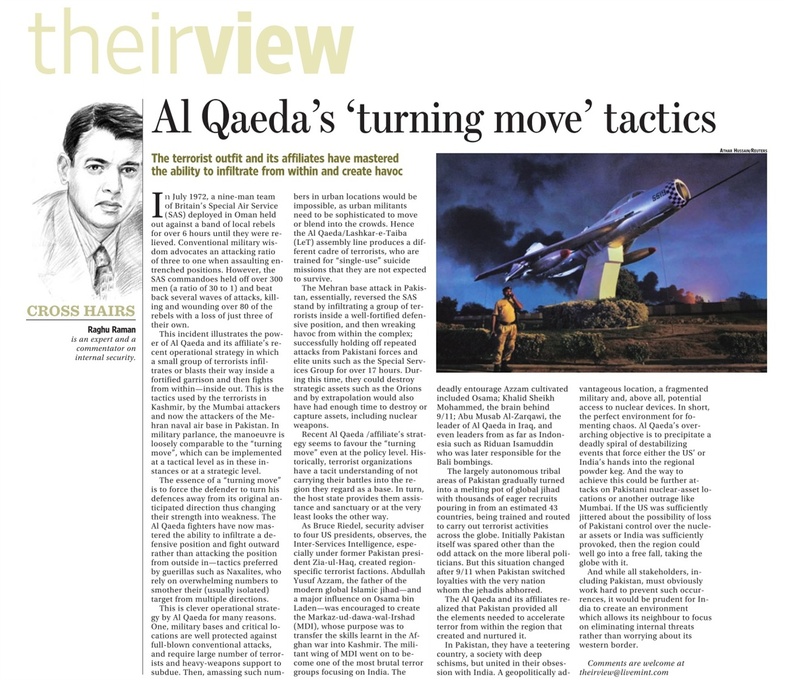 The US promptly withdrew its support, having achieved its strategic objective and leaving the mujahideen under the command of the Pakistan military. Pakistani strategists, overjoyed with the success of the ragtag guerrilla army defeating a superpower under their command planned to control Afghanistan through the mujahideen under its doctrine of strategic depth against India. But that was not to be as the infighting amongst the various warlord mujahideen groups sabotaged their plans. The ISI was thus tasked to create an alternative, which gave birth to the radical Islamist Pashtun Taliban movement. Within a matter of a year the Taliban led by Mullah Omar, a cleric from Kandahar, and financially supported by al Qaeda leader Osama bin Laden, soon overran the mujahideen and took control of the whole country except a small swath in the north held by the Farsiwan Northern Alliance. Mullah Omar established a government in Kabul supported by Osama, who in turn was given a free hand to plan his radical, misconstrued jihad against ‘western imperialism and its allies in the Muslim world’, while establishing training camps for the al Qaeda network. Pakistan recognised the Taliban government. Under Osama’s influence the control of the Taliban slowly slipped from the hands of the ISI and as far back as 1985, sectarian violence escalated in Pakistan with suicide bombings and attacks on Shia Imambargahs, Deobandi madrassas and even the security and law enforcement agencies, etc. Then 9/11 happened and the US came back with a vengeance. 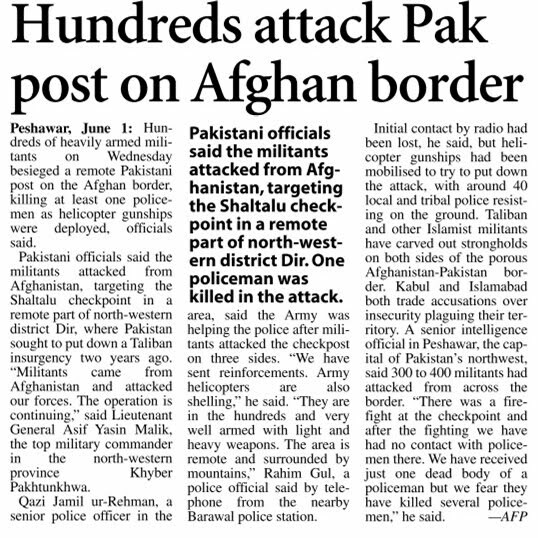 Bombed out of Afghanistan, the Taliban and al Qaeda took sanctuary in Pakistan’s border districts, again with the support of the military establishment. When Pakistan was forced by the US to become a major partner in the war on terror and supported the US with military operations, the Taliban fighters found new and softer targets in attacking the Pakistani civilian population (approximately 30,000 killed) and military institutions, killing some 5,000 troops and officers. Since 2008, 122 attacks have been reported by media sources against military institutions and forces while only 2,000 to 3,000 terrorists are reported killed by the Pakistani military and US drone attacks. this is in response to troops entering naxal areas for training.My judgement tells me that its a disaster waitng to happen.Troops entering so close to maoist den without necessary mandate to carry out operations will be sitting ducks.Imagine the morale of the maoist if they are able to inflict casualties on army.The initiative lies with the maoists.And then can you really carry out training under a hanging sword.Just wait and watch.